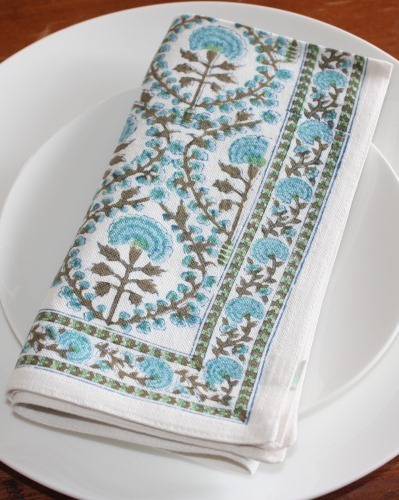 These napkins are so fresh featuring the dahlia flower in turquoise and white . The napkins are hand block printed. 100% cotton.